BOLINGBROOK, OH (March 28, 2011) - Today PressureWashersDirect.com, a leading online power washer retailer, is expanding its online product offering with the introduction of an improved Commercial pressure washer department. "With the improved lineup our professional pressure washer customers will easily find what they're looking for" said Bill Mikenis, resident product expert for Pressure Washers Direct. Mikenis added, "The wide variety of commercial units we carry are now sorted into logical groups by application." Commercial customers can now choose between professional grade Electric, Gas, Belt-Drive, Diesel, Skid, and Trailer units. Features within the categories are easily accessed with a simple mouse click, making the most of a professional's time and budget. PressureWashersDirect.com is an online superstore specializing exclusively in power washers and power washing accessories. The store offers more than 250 models of pressure washers from nearly two dozen leading national brands. Among the many brands PressureWashersDirect.com carries are a complete line of Cam-Spray, Karcher, Pressure-Pro, and Shark pressure washers, as well as a wide array of power washer accessories. 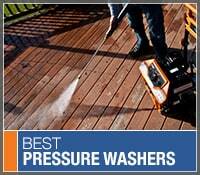 Pressure Washers Direct announces the best professional power washers and the best commercial powerwashers. The product experts chose the contractor gas pressure washer based on sales history and customer reviews. Read recommendations on the best small business pressure washer from the experts who work with them every day.